Bam are passionate about removing the junk to deliver a more healthy option. A simple mission to keep flavoured milk real. 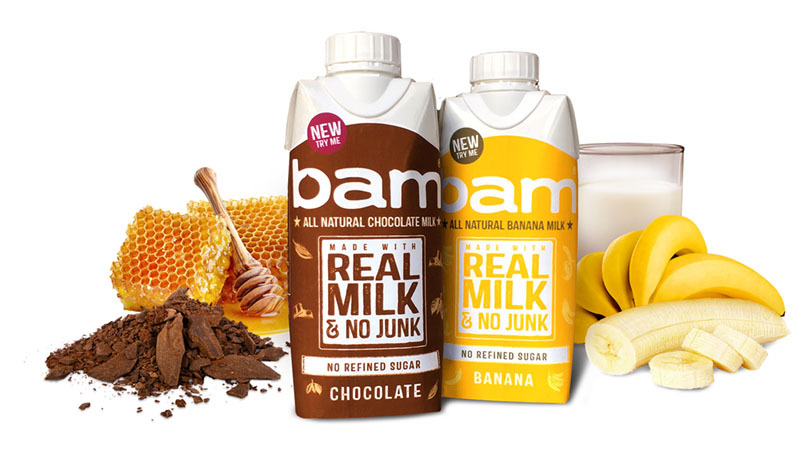 Bam chocolate milk drink is made from whole milk, cocoa and honey. Whilst their banana milk has the same except of course the bananas take place of the cocoa. The drinks all have no artificial flavours, no refined sugars. No colourings and no preservatives. Bam is approved by The Vegetarian Society and accredited with The Red Tractor. Sainsbury’s seem to agree with Bam’s philosophy and recently agreed to stock the milk in 82 stores. 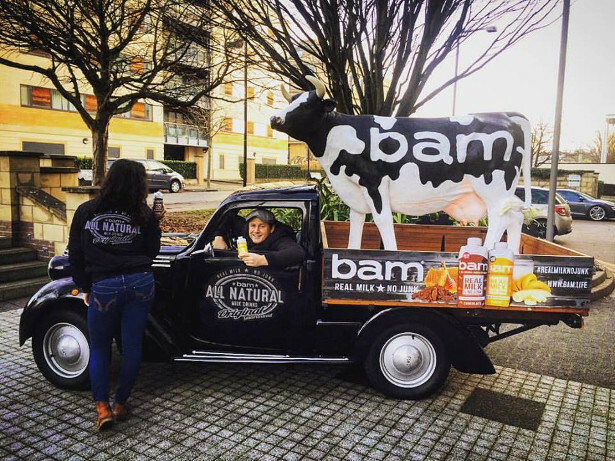 Bam milk keeps cropping up in news stories, with many sporting teams picking Bam for it’s ability to give an all natural energy boost and aid recovery time. Bam milk certainly tastes great. It’s full of the good stuff and It’s a fun brand on the up. The Bam branding also stands out on cluttered supermarket shelves. That’s why we have made Bam our Challenger brand of the month. Bam comes in three great flavours, Chocolate, Banana and Vanilla.